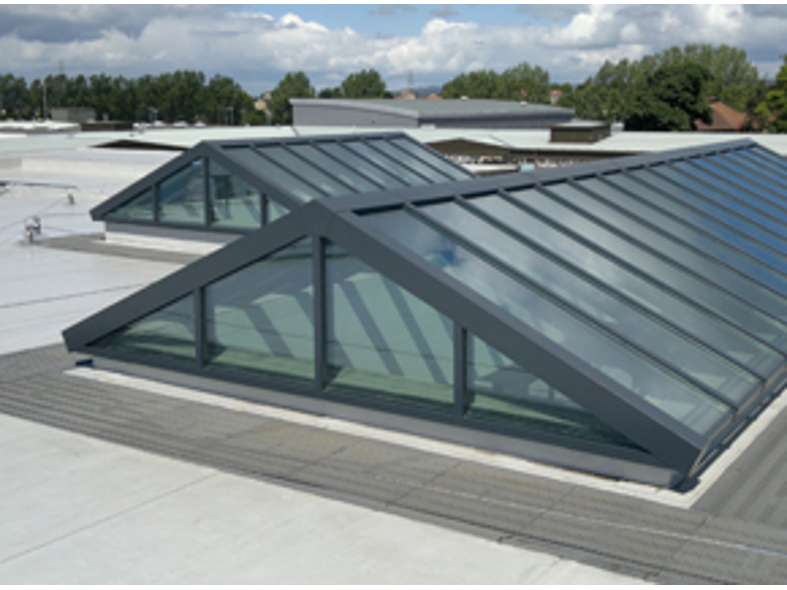 Type: Dual pitch rooflight up to 8 metre span, depending on snow and wind calculations. Pitch dependant upon requirements. To BS 5516 CP3 Chapter V and BS 6399 Part 3 1988. Frame: Aluminium, aluminium to BS 1474:1987 Alloy 6063-T6. Bars normally at 600mm centres but might be changed to suit Architects requirements. Finish: Polyester powder coated to BS 6496 Interpon D92 range. 25 Year life expectancy on powder coating. 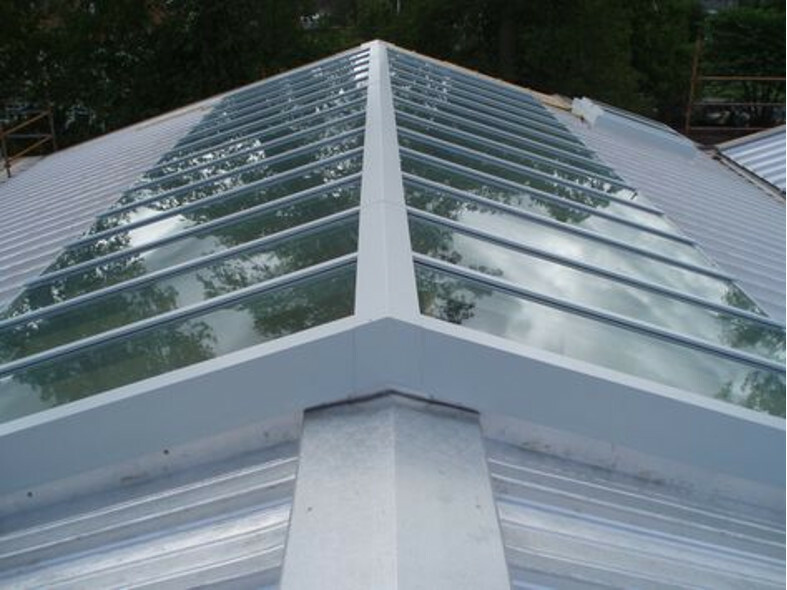 Glazing: Sealed double glazed units comprising: 6.0mm clear toughened outer pane/16mm air gap argon filled, 6.4mm Low ‘E’ laminate inner pane to give a centre pane ‘U’ value 1.1 W/M²K and an overall 'U' Value of 1.4W/M²K.